Hey, Kevin. I’m certainly not a Hebrew scholar, but one thing confuses me about making the changes you suggest? Why make a Covenant after, and what did that Covenant really comprise? There certainly have been some pretty massive floods in the past 6000 years. Is the argument that the Earth was so sparsely populated at the time that literally everything did die, and so now a similar flood wouldn’t achieve the same results? As always, thanks for the indulgence! Jason — Great question. I think part of the answer is that covenants in the Bible are usually made with an individual who acts as a representative of a larger group. For example, God made covenants with Abraham, which extended to his descendants, and led to blessings for the entire Earth. In Genesis 9, God made a covenant with Noah, his family, and the animals that had been on the Ark. They acted as representives of all Noah’s descendants, as well as all animals on the Earth. Floods that have occurred since that time have not been judgmental, nor have they been on the same scale as what happened in Genesis 6-9. The flood of Noah’s day did not have to be worldwide for this to be true. Some old-Earth, local flood advocates, such as Hugh Ross, believe that humans had not migrated beyond the flooded area, and so all humans (but not all animals) were killed by the flood, except for those on the Ark. Other local flood advocates believe that the flood only affected those descendants of Adam (or descendants of Seth) who were part of the covenant story as it had unfolded so far. The table of Nations in Genesis 10 hints that the whole story had been only about nations of the Middle East and Eastern Mediterannean. I don’t know the answer on this one. Humans at that time were present on 6 continents, I would imagine that this is a local event. For the record – Which Bible translation uses the suggested changes? No major English translation uses the changes, but all Hebrew scholars—young-Earth or old-Earth—agree that the three terms are ambiguous. Young-Earth scholars claim that the context demands earth, heavens and mountains, while many old-Earth scholars believe that the context is not all that clear, and that the main reason it isn’t land, sky and hills instead is tradition. That’s the way it has always been translated, so it must be true. 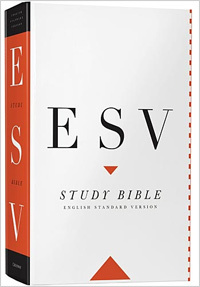 The modification to Genesis 7:20 is in the NIV footnotes. The Orthodox Jewish Bible translates this verse as “Fifteen cubits upward did the waters rise; and the harim [hills or mountains] were covered,” which is consistent with the NIV footnote. Just an aside — all senior pastors I’ve had in the Evangelical Free Churches over a span of 28 years have been either open to or have openly advocated an old Earth. The same is true in the Presbyterian Church in America church we are members of now. These pastors do not advocate an old Earth because they have “caved in to science” as some young-Earth leaders want us to believe. They have studied the Scriptures, in some cases very deeply, and have concluded that Genesis does not require the young-Earth interpretation. This YEC sees no reasonable reason to not understand the flood story as it was meant to be understood by the earliest audiences. Only the ark collected man and beast because otherwise they would perish off the earth. Thats a simple idea. If local then five counties over would of saved the bother. God knew the earth was full of creatures. Why take birds? If one beliecves the bible one must see the flood as a world event meant to destroy all life off the dry land. 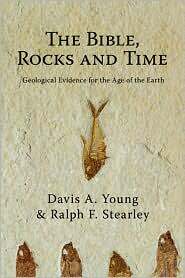 The evidence of nature shows the world was covered by water everywhere anbd this is the origin of the sedimentary rock below the k-pg line. All dinos ever found were killed in the first days/week of the flood. It all makes sense. local flood doesn’t wash.
Ken Ham and most of the rest of the YEC groups do this constantly, even going so far as equating people who disagree with YEC to worshippers of Baal. It is a wrong-headed (at best) thing to do. Let’s look at a couple of your lines. Because God was making a sign and warning. Signs that God is sovereign, and the people of the area were practicing great sins against Him, and everyone around should see the warning. We see God doing this constantly throughout the OT. A local flood fits perfectly with the things we see throughout the Bible – God warning people through signs and punishments, but always saving those who honor Him. Wiping out everything on the entire globe is quite a bit OUT of character with God’s actions as evidenced and stated throughout the Bible. The K-Pg boundary as the end of the Flood is an idea that, from what I can tell, is on its way out among YEC researchers. I can see why they do this, because the K-Pg boundary being the Flood dramatically doesn’t work with evidence, and they can get around some of the problems by having the Flood end earlier. I think they still have major problems, because they’re stacking up more and more “stuff” that needs to happen in the three hundred years (as they count it) between the end of the Flood and Abraham. This one is so far outside the current YEC views of the Flood and dinosaur extinction that I’m not even going to touch it since it’s apparently your own invention (or gotten from some tiny YEC group). All the major YEC groups disagree with you here. I’ll leave it at that. 17 For it is better, if it is God’s will, to suffer for doing good than for doing evil. 18 For Christ also suffered once for sins, the righteous for the unrighteous, to bring you to God. He was put to death in the body but made alive in the Spirit. 19 After being made alive,[a] he went and made proclamation to the imprisoned spirits— 20 to those who were disobedient long ago when God waited patiently in the days of Noah while the ark was being built. In it only a few people, eight in all, were saved through water, 21 and this water symbolizes baptism that now saves you also—not the removal of dirt from the body but the pledge of a clear conscience toward God. [b] It saves you by the resurrection of Jesus Christ, 22 who has gone into heaven and is at God’s right hand—with angels, authorities and powers in submission to him. To me – if you start changing mountains to hills – and worldwide to local – than you will have problems throughout the other passages. Would you say the phrase “There is no such thing as Absolute Truth” is a reasonable statement…. then do you belleve it is true alll the time or sometimes? If you say “All the time” then do you mean “Absolutely, all the time”? … but you don’t believe in Absolute Truth …. so try again …..
then if it is not true all the time then sometimes you would say “Sometimes I do not believe the statement – there is no such thing as Absolute Truth” which then ceates a double negative so it cancels itself…. …..which means that it is and that proves ….. there is absolute Truth!! 1 Peter 3:20 does not say anything one way or another about whether the flood covered the entire globe. It simply says that eight people were saved from the flood in the ark. It doesn’t even directly say that all other humans were destroyed by the flood; one would have to go elsewhere in Scripture to support that position. What the passage you quoted from 1 Peter 3 shows us is how Noah’s flood is a picture of judgment towards those who disobey, and of God’s saving grace through Jesus Christ for those who trust in him. For this purpose, it is irrelevant whether the flood covered the entire Earth and was responsible for all of the fossil-bearing layers of Earth’s crust. And of course I believe in God’s absolute truth. 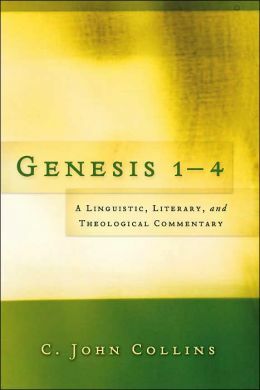 One of my objectives here on The GeoChristian blog is to demonstrate to the Evangelical community that there are other ways to read the introductory chapters of Genesis than what is presented as “absolute truth” by the young-Earth creationists. 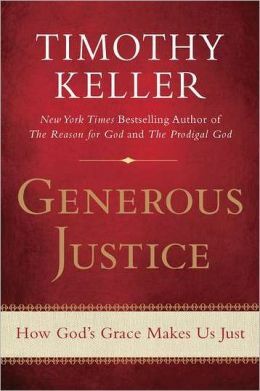 I don’t claim to be presenting anything original in terms of biblical interpretation; my ideas come from theologically conservative biblical scholars. Much of what is presented by the YECs goes far beyond what is written in the Bible, but they hold their interpretation forth as the only true way to read God’s word, and hold all others in disdain. This is divisive and tragic. i didn’t mean one must believe in the world flood to be a bible believer. I’m not one who says that or thinks that. i was, poorly put, saying one is forced to believe in the global flood by what the bible says. i mean this as a aggresive intellectual point. I’ll watch my words. I understand at least 70% of the planet, dry land, is covered by sedimentary rock. This means it was placed by water moving sediment before turned to rock. The rest is areas defined by being shattered. tHerefore the sed rock was knocked off later or prevented from being laid. therefore the whole planet shows it was covered by water. They say it too by divid it up in time. i do insist that the k-pg line is the flood line by the observation of the fossils. i find it works fine. I know YEC thinkers differ on this. fossils should be the great clue and then how powerful the rock layers needed to be deposited. After the flood there was less power from events. I mean by the dino thing that all dinos ever found in fossil were killed in the first days/week of the flood. I think YEC folks say this. there was no way to fossilize them after the flood until several centuries by which time they were gone and it was the mammal world we live in. I am certain every dino ever found lost his life while Noah was newly on the ark. Robert, like I said – feel free to generate your own theories, but I’m not going to bother dealing with them since your own YEC people vehemently disagree with you. Apparently you are completely unfamiliar with YEC theories of how the Flood happened and how animals died in it. People can make up a billion different theories, and people could try to answer them all individually, or we can point out that your OWN group of YECs, the experts in YEC theory, specifically disagrees with you. They very, very specifically state that animals died at different times all around the world across the entire year of the Flood, and that even very late in the Flood there were still animals walking around, leaving tracks. Go disagree with your own experts. Go tell Dr. Snelling, and Paul Garner, and the other YEC geological experts that all their ideas are wrong, but that you have the accurate knowledge of what happened. I’m sure they would be delighted to be enlightened by your knowledge. 3 Above all, you must understand that in the last days scoffers will come, scoffing and following their own evil desires. 4 They will say, “Where is this ‘coming’ he promised? Ever since our ancestors died, everything goes on as it has since the beginning of creation.” 5 But they deliberately forget that long ago by God’s word the heavens came into being and the earth was formed out of water and by water. 6 By these waters also the world of that time was deluged and destroyed. I watched a bit of Ken Ham’s video as you suggested in comment #11. One of Ken’s basic problems is his false dichotomy of God’s perfect Word vs. man’s fallible opinions. God’s Word is trustworthy. For example, it accurately records events that really happened. But sometimes we correctly understand it, and sometimes we don’t. The diversity of opinions on biblical and theological matters among Christians is clear evidence that most of us probably get parts of the Bible wrong. Science also examines truth. For example, something really happened that formed an iridium-rich layer that marks the upper limit at which we find dinosaur fossils in the rock record. Geoscientists, for a number of reasons, interpret this as evidence of an asteroid impact. Could the geoscientists be wrong? Yes. But that doesn’t change the fact that something really happened (absolute truth). Ken Ham only gets part of this right. verse 3 — Scoffers will scoff whether Christians believe in an old Earth or young Earth, global flood or local flood. It is in their nature to scoff. verse 4 — What Peter is telling us is that scoffers mock the idea that God intervenes in the creation; they believe that God is unnecessary. They will scoff at Christians’ beliefs about creation and Christ’s incarnation, resurrection, and second coming whether Christians believe in an old Earth or young Earth. 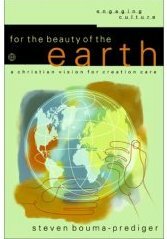 verse 5 — Old Earth Christians believe that God created the heavens and the Earth. Like many biblical scholars, I don’t know exactly what “out of water and by water” means, but young-Earthers don’t know either, though some of them speculate that God could have created a universe that was entirely water, and then he transformed this into all other substances. verse 6 — I believe that Noah’s flood really happened. I also believe that it was local rather than global. This verse could be one more biblical example of when “all the earth” doesn’t mean “all the earth” (and in a majority of instances in the Bible, “all the earth” is figurative). Certainly the world of Noah and his contemporaries came to an end, but that doesn’t mean the floodwaters covered the entire sphere of the planet. Scoffers will scoff and mockers will mock. The young-Earth creationist movement, despite their good intentions and because of their history of using bad arguments, has just given the scoffers an easy target to mock. Another way to look at ‘the world at that time’ is to view the world as the ‘inhabited’ world or even the known world. ‘the world’ in the Greek is often used in this way as in luke when it says a census was taken of the ‘whole world’. No need to use it figuratively to come up with that definition, literally the Greek word for ‘world’ could mean ‘known world’ just as in Hebrew the word for ‘earth’ could literally mean land, country, locality, or known world amongst other usages. eretz is the Hebrew. 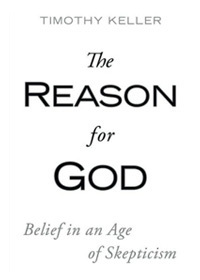 As a simple believer – It is my understanding from the book, “More Than a Carpenter,” by Josh McDowell – that something is a theory unless it has at least all of these ..which can be recreated in a lab, there is manuscript evidence, archeological evidence and eye witness testimony. And I ponder – according to http://en.wikipedia.org/wiki/World_population – we should be around 7 billion people on earth now – so here is my logic – in the book, “One grain of Rice,” by Demi – the reward for the servant is that he would be given one grain of rice on the first day of the month and that every day of the month they would double the amount of rice given from the day before – then in the end of the month when you add together all the days you would come to 1 + 2 + 4 +8 +16………+536,870,912, – it would equal, “1,073,741,823. – more than one billion grains of rice!”, in one month. I am no expert in math – but it seems that if man were around as long as you believe the earth was around then there would be no room to move. 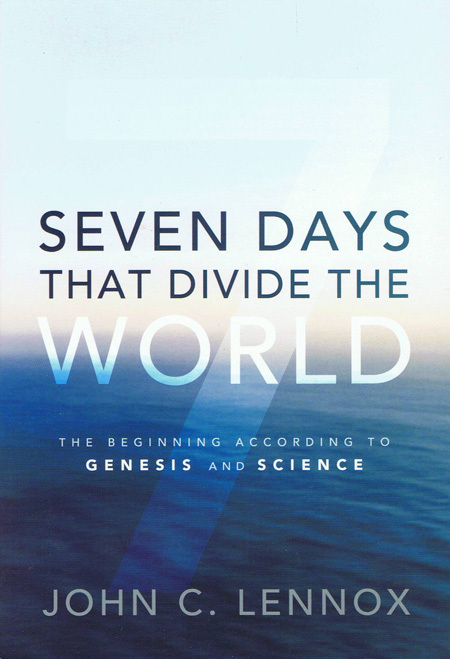 I don’t want to discuss Josh McDowell or Demi’s beliefs – just how long it might take to get to 7 billion believing that Noah was surrounded by other peoples? Human population is not a problem for either old-Earth or young-Earth Christians. In either case, it is clear that population growth over the past 4500 years (the time since many young-Earth creationists place Noah’s flood) has not followed the “One grain of rice” pattern. It is clear that this has not happened. For most of human history, there has been an equilibrium, with roughly the same number of people dying as being born. This is true irregardless of the timing and extent of Noah’s flood. That being 3700 years – divide by 27 sections would be about 137.03703 years to double – it is estimated by wikipedia that there is a 1.1+ growth rate and considering people do not live past 90 usually – I believe it works out. I’m an Old-Earther. Yet I see the Genesis Flood as Global. I mean, Noah and family are in the Ark, 370 days! If it were local, the waters would have drained off much sooner, and Noah and family wouldn’t have needed to stay in the Ark over a year! There’s no reason that I can see, in light of another Biblical passage at Psalms 104 which describes Earth’s pre-Flood topography as smoother, where evidence would fail to explain a Global Flood. In fact, it supports it…. I know the rocks are old, but I see many youthful (geologically speaking) mountain ranges. They have well-defined, crisp features, as if they were recently formed as those “valleys sank down (Psalms104),” due to the “springs of the deep” being broken, i.e., thrust upward. If the Himilayas or Alps were millions of years old… with the extreme amount of erosion they endure, they’d be rounded stumps by now! After the Flood, tectonic forces took over. Again…old earth, but young features. That’s how I see it. It also explains the permafrost, and the extinction of megafaunal grazers in those high latitudes, like mammoths etc. *Drastic* climate changes! With the “waters above” prior to the Deluge, from which came *some* of the Flood waters, the climate around the Earth would be temperate even in northern latitudes, and provided enough vegetation allowing for these grazers to thrive, as is discovered. But once these waters fell, temperatures plunged, and coupled with the “waters below”, nothing would be the same!